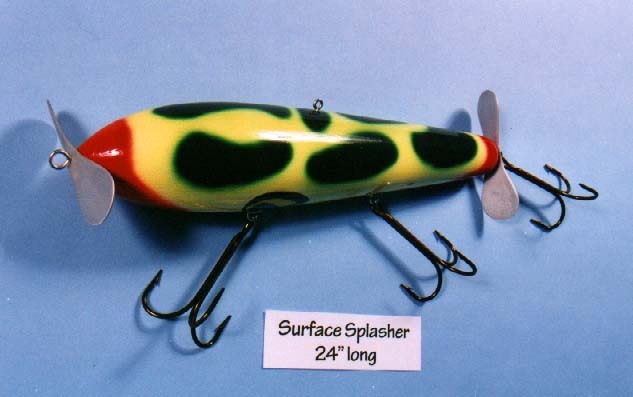 A well known old lure used mainly for bass (blacks and stripers) It features aluminum propellers front and back and large black and yellow eyes below. Finish:Cream colored body with green spots and red markings front and back. Large black and yellow eyes underneath.